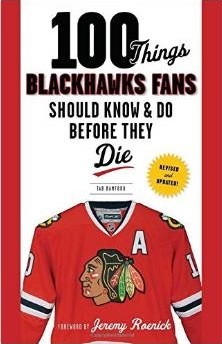 Maybe after running off eight straight wins the Blackhawks thought they were locked into a playoff spot. After achieving two points in three games over seven days, they might need another wake-up call. Nothing should discount the effort the Blackhawks gave on Sunday. They were facing one of the hottest teams in the entire NHL on their home ice, something that not many teams want right now. The Caps are currently sitting in second in the Eastern Conference for a very good reason, and the Hawks gave them a battle. Brian Campbell played despite wearing a walking boot for many of the activities that took place in the nation’s capital. He didn’t take a shift after the mid-point in the second period, though. With Campbell limited to only 7:05 in a game that went overtime, the Blackhawks were stretched on their blue line. Late in overtime, the long afternoon for the defensive group caught up with them. Mike Knublewas left all alone a matter of inches in front of Corey Crawford, and was given enough time to make a couple moves with the puck before scoring the game-winner. Crawford allowed four goals on the afternoon, including two goals he’d like back in the first period, but overall faced 42 shots. 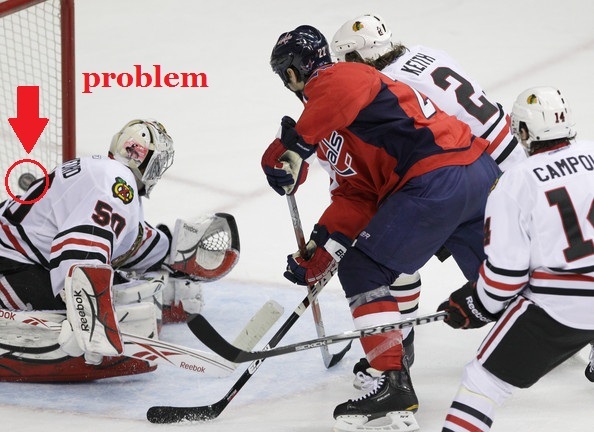 The Blackhawks need help, and it could come from examining their rotation. Michael Frolik, forced to play center while Dave Bolland is out with a concussion, struggled at the dot. He won only two of nine faceoffs. Meanwhile, the team’s so-called faceoffs and defensive specialist, Ryan Johnson, won four of six faceoffs and skated only 9:34. Furthermore, if seven minutes of Campbell is better than the alternative – John Scott – perhaps it’s time to place Jordan Hendry on IR and call up someone that can physically move a player out of the crease. It might be time for Jassen Cullimore to get a call back. Is he an all star? No. But is he a veteran who can be recalled with minimal cap impact? Absolutely. He’s been in Chicago this season and skated effectively enough this year to warrant 10-12 minutes per game if Campbell can’t go. The team returns to Chicago to face a San Jose team on Monday night that’s just as red-hot as Washington, with arguably the hottest goaltender in the game… yes, Antti Niemi. It might be good for the Hawks to take a deep breath while flying home from a fun week of social activities in Washington and remember that they’re just as close to 11th as they are to Detroit in the Central. A prolonged streak like they showed in their last three games could make the eight-game winning streak end up a worthless footnote in April.